In addition to General Liability Insurance Coverage, the next insurance coverage that is an absolute must for your Las Vegas/Clark County, NV business is a Liquor Liability Insurance Policy. This type of insurance is very necessary due to the fact that most standard commercial general liability insurance policies exclude coverage for the sale of alcohol, and a liquor liability policy will protect you in the event of property damage or bodily injury, or both, caused by one of your customers who is intoxicated and was served liquor by your bar, nightclub, or restaurant establishment. Acquiring a Liquor Liability Insurance Policy can aid your business by covering your legal fees and any damages awarded in the event of a lawsuit or claim. We understand that when starting up an operation like a Restaurant, Bar, or Nightclub, very likely the largest expense your company will have is the cost of the equipment needed, inventory, audio equipment, and, of course, the vast improvements that will have to be completed so your business will be able to open. By acquiring the proper type of Las Vegas property insurance coverage, you can protect your investment in case of fire, vandalism, windstorm, theft, or other unforeseen events. We also encourage our clients to take a look at additional insurance coverages that we feel your company should strongly consider including Business Interruption Coverage, Equipment Breakdown Coverage, Food Spoilage Coverage, Sewer and Drain Backup Coverage, LV Workers’ Compensation Insurance Coverage, Glass Coverage, Fine Arts Coverage, Sign Coverage, Garage Keepers Liability – Valet Parking, and Employment Practices Liability Insurance Coverage in NV, to name just a few of the insurance coverages that your company should consider. In addition, depending on the type of operation yours may be, you may need insurance coverage for an expensive and rare wine and/or liquor collection. If your establishment has a brewery, there will be a need for specialized coverage for that part of the operation. We understand that running a restaurant, bar, or night club operation requires finding the right broker who understands your business and can put together the proper insurance plan for your company. 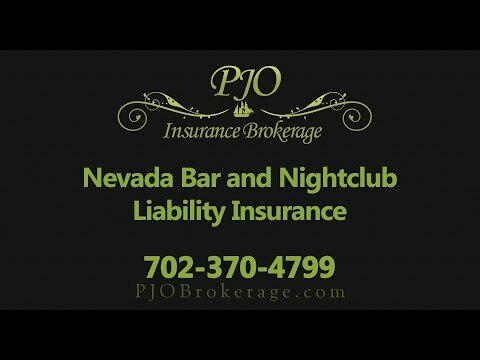 PJO Insurance Brokerage, as an independent agency, can find the right program for your Las Vegas/Clark County, NV establishment. Please call today for an appointment with one of our experienced and professional brokers to discuss your many insurance options.